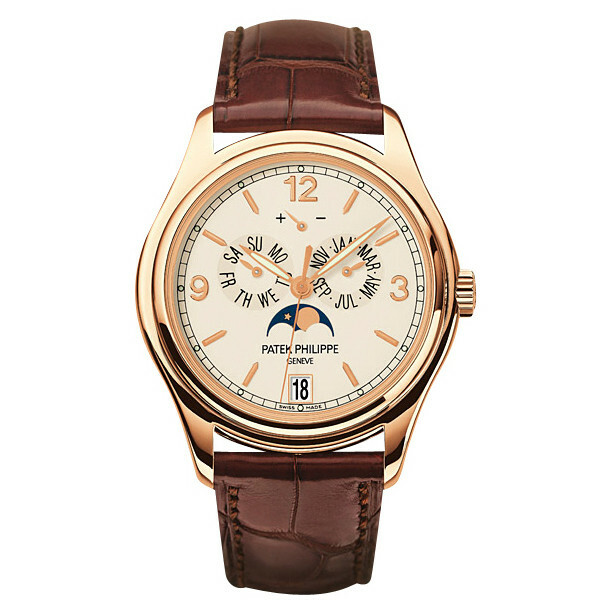 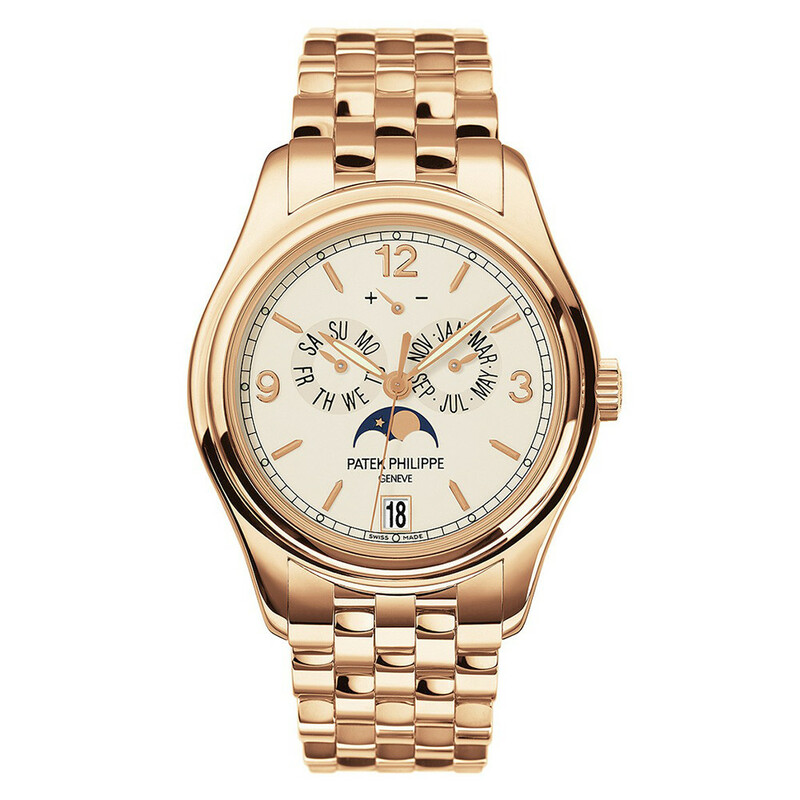 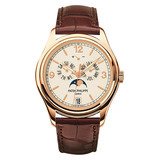 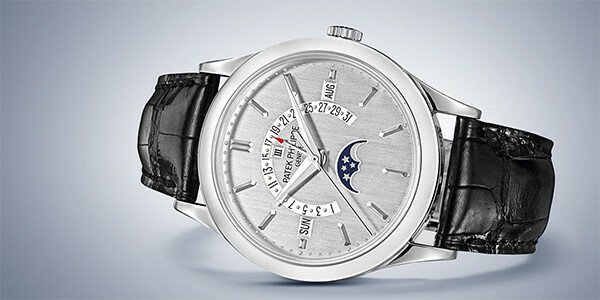 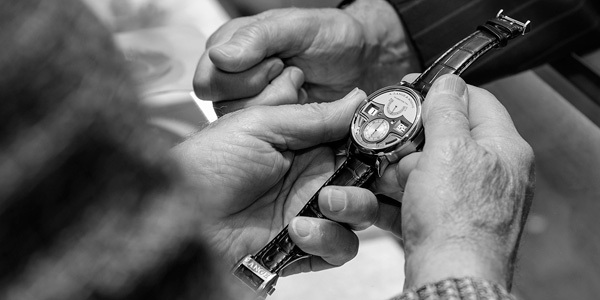 The Patek Philippe Annual Calendar (ref. 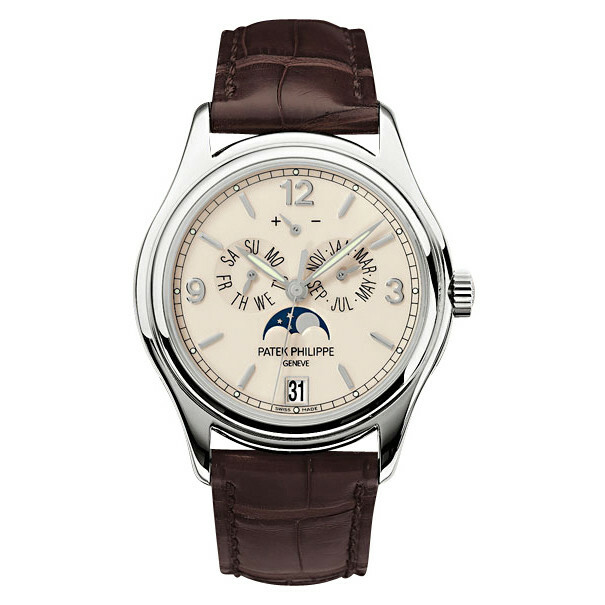 5146R-001) features the Caliber 324 S IRM QA LU mechanical automatic movement; cream dial; annual calendar complication with displays for the day and month by hands, while the date and moon phase are shown in apertures; power reserve indicator; center seconds hand; sapphire crystal, transparent case back; and 39mm, 18k rose gold case on a brown alligator strap with an 18k rose gold deployant clasp. 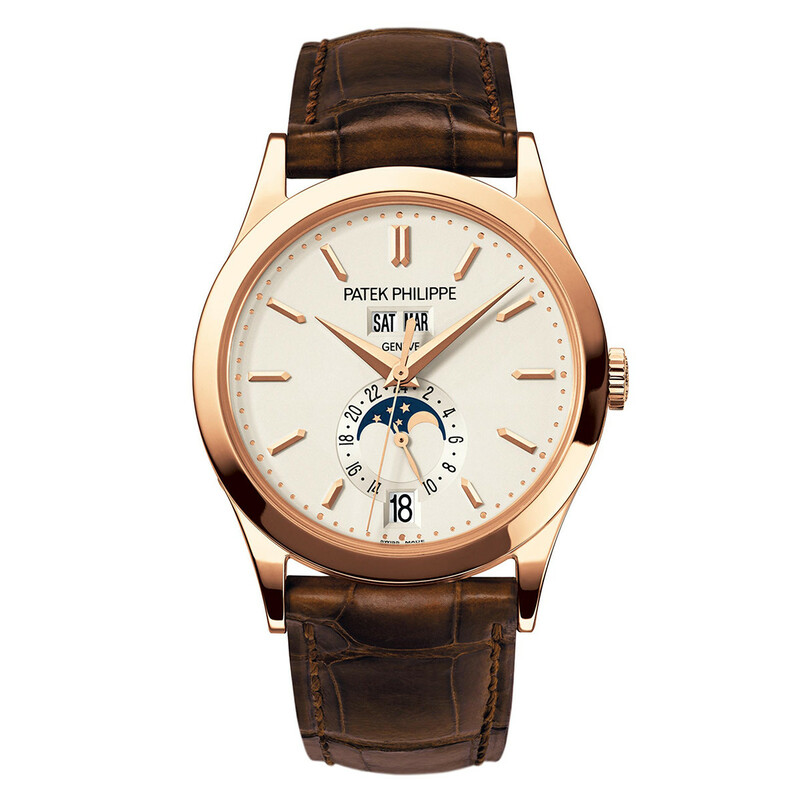 The Patek Philippe 5146R's movement is composed of over 355 parts, which together power its annual calendar and moon phase complications.